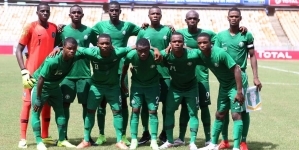 Author of a new book on the history of football in Nigeria, Dr. Wiebe Boer, has also asserted that the “Founded 1945” phrase in the emblem of the Nigeria Football Federation (NFF) is a fallacy. The renowned author and researcher whose book, “A Story of Heroes and Epics” will be unveiled this Sunday in Lagos spoke on Top Sports program of Top Radio in Lagos. 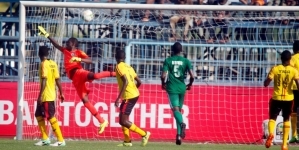 The Nigerian Dutchman, who was born in Northern Nigeria and speaks Hausa fluently, asserted that the NFF, which began as NFA was founded in 1933 and not in 1945 as erroneously being held for years. Previous administrations of the NFF have shied from correcting the fallacy. Dr. Boer’s choice of venue for the unveiling of his book is also significant. He told the audience of the popular radio program that he opted for the Freedom Park, Broad Street, Lagos because it is just a shouting distance from the House 42, Broad Street where the NFF was founded in 1933. The author of the landmark book remarked that 1945 probably came into reckoning owing to the fact that the now well established national football cup competition started that year. But www.sportsvillagesquare.com asserts that what was known as Governor’s Cup in 1945 was not a competition organised by the NFA. Rather, it was that of the Lagos and District Amateur Football Association which is today’s Lagos FA and the oldest football association in Nigeria having be founded by Henry Augustus Porter, who was also the founding president of the NFA in 1933.